Sheryans is a child of 18 months and he is suffering from hepatoblastoma a type of liver cancer and it is at stage 4. 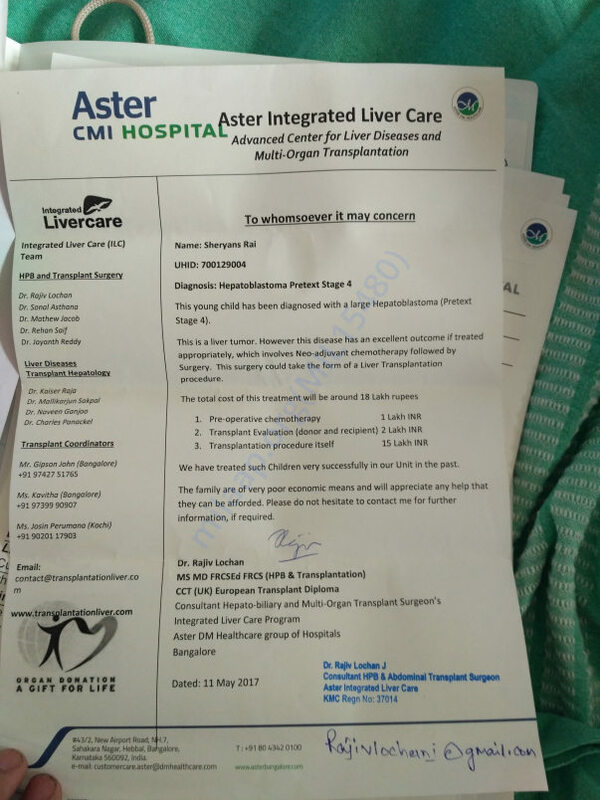 The only way to save him is to do a liver transplant but his family economic background is not good enough to afford the fee since his father is a normal worker and mother is a housewife. 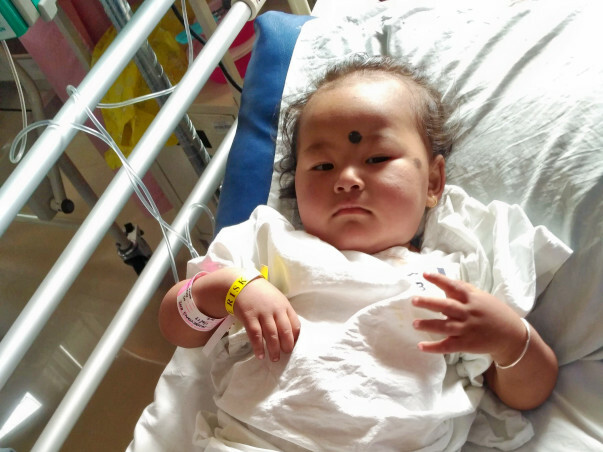 So it is a humble request to everyone to come forward and give a hand to save the child. Thank You.